How And Why To Use Worm Castings - The Miracle All-Purpose Fertilizer! If you want a more productive vegetable garden, gorgeous perennial and annual flowers, bigger and brighter containers, overflowing hanging baskets, and healthier shrubs and trees – then it’s time to use worm castings! 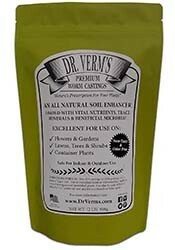 Worm castings are quite simply the most powerful and incredible all-purpose organic fertilizer that you will ever use. They are simple to use, 100 percent safe and natural, and best of all, they power plants beyond belief. This is our fourth season of utilizing worm castings at the farm. We first began to use them in our seed starting mix in the spring of 2014. That year, we mixed in a cup of castings along with the regular ingredients we use to make our homemade potting soil – compost, perlite and pulverized top soil. The results were astounding. We only used the mix in half of our seed trays that year as a trial. 6 weeks later, there was simply no comparison. The plants with worm compost were nearly twice as large, with a noticeably thicker and darker set of fully developed leaves than the seedlings that had been planted in our normal potting soil. And they continued to grow at a better rate even after they were transplanted. After the obvious success, we began to use worm castings in nearly everything we planted. We also began to use it as an additive after we planted, both as a dry fertilizer, and using it to create a powerful liquid fertilizer as well. So why do worm castings work so well? In short, because they are loaded with a near-perfect mix of powerful minerals and organic material. Life-giving minerals like calcium, nitrogen, phosphorous, potassium and magnesium. All of which, coincidentally, are the most critical nutrients utilized by plants as they grow. 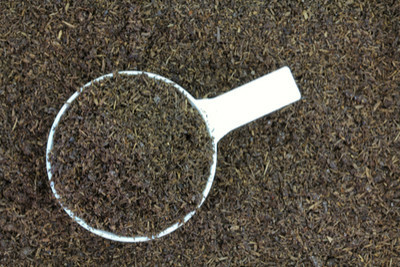 Worm castings are the dried manure of worms. Unlike the manure of chickens, horses, cows, and rabbits, worm castings are ready to use immediately. Other manures are hot, and need to age or be composted. But worm castings are perfectly balanced and ready to go. As worms move through soil, they chew and digest tiny organisms and bits of organic material. Those materials are then ground down in their digestive system. As it exits, it has become a perfect blend of organic nutrients. Although you can harvest your own worm castings with a homemade set-up. they can also be readily purchased. Just be sure you are buying 100% castings. There are many knock-off products that contain only traces. The all-natural is what works with gusto! Liquid Compost Tea – Beyond using the dried castings as described below, you can create an incredible all-natural homemade “miracle growing liquid fertilizer” with worm castings. To make, mix 1/2 to 3/4 cups of worm castings with 2 gallons of water. Let the solution soak for 24 hours. You can then use the solution to fertilize vegetable plants, flowerbeds, hanging baskets, containers and more. For vegetable plants, we apply 1/4 gallon to each root zone. For containers and hanging baskets, we water with the solution every few weeks. You will be amazed at the power it provides to your plants. 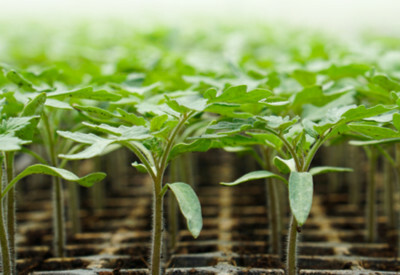 Seedlings – Seed Starting – For seedlings, mix in at a rate of 1 part castings for every 4 to 6 parts potting soil. Vegetable Transplants – When transplanting vegetable plants into the garden, we use a quarter cup of castings mixed into every planting hole. We then sprinkle a few tablespoons mixed in with our mulch on top of the plant. This acts as a slow release fertilizer every time it rains, or you water. Hanging Baskets – If you are creating your own hanging baskets, mix in 1/2 of cup of castings in the potting soil at planting time. If purchasing already–planted baskets, sprinkle in a quarter cup of castings on top of the soil. As you water, or as it rains, the nutrients leach down into the plant’s roots. Re-apply ever month or so to keep baskets looking great all season long. Container Plantings – Much like hanging baskets, mix in a 1/2 cup of castings to the soil in your containers. Once a month, add a quarter cup of castings to the top of the soil. 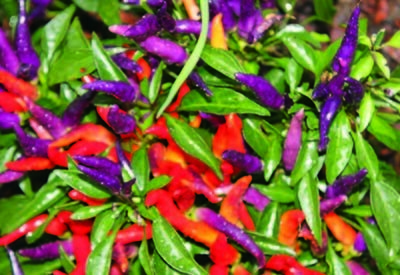 Worm castings power all of our hanging baskets – like these sangria ornamental pepper plants. Perennials – When planting, transplanting, or splitting and dividing perennials, mix in a quarter cup of castings to each new planting hole. Shrubs and Trees – Worm castings are excellent for planting shrubs and trees too! For traditional 1 gallon containers, mix in 1 cup of castings when planting. For large shrubs and trees, use an additional 1/2 cup for every additional gallon size of the container. Here is to growing big with worm castings! Jim and Mary. Although we have never used worm castings on pine trees, we have seen great results on our fruit trees. They have grown much faster and larger when we applied a top dressing of fertilizer right at the trunk of the tree. Hope this helps! We are so glad that it is working great for you! It has been a game changer for us! I ordered a bag of castings online after you earlier article about how to boost hanging basic’s mid summer. I am so sold, my hanging baskets look better then they did when I purchased them in May! I now use the casting in all my flower pots and plan to add to my seedling mix next spring. So inexpensive and so mighty!! Having a worm farm is another way to have worm castings in abundance. That’s a bit too complicated for me to have jumped into. Mostly I use my gardens to grow their own. Lots of compost spread around and of course generously added to any transplant hole. Worms are even rescued after rain falls from hard surfaces, every worm counts. But one of the things I’ve noticed is that with my extensive perennial gardens, worms rarely languish on the sidewalk or driveway on my property. There’s always a nearby leaf or plant umbrella to give them refuge when the ground fills with water.